Recently DeKalb County was declared to be “rotten to the core.” People are calling for the interim CEO to resign. Other citizens in unincorporated parts of the county are looking to follow Dunwoody and Brookhaven’s lead to establish new cities. With DeKalb a mess and proposed cities like LaVista Hills and Tucker on the November ballot BYR has assembled a panel to discuss what can be done to improve DeKalb from a 1) county, 2) state and 3) local city perspective. 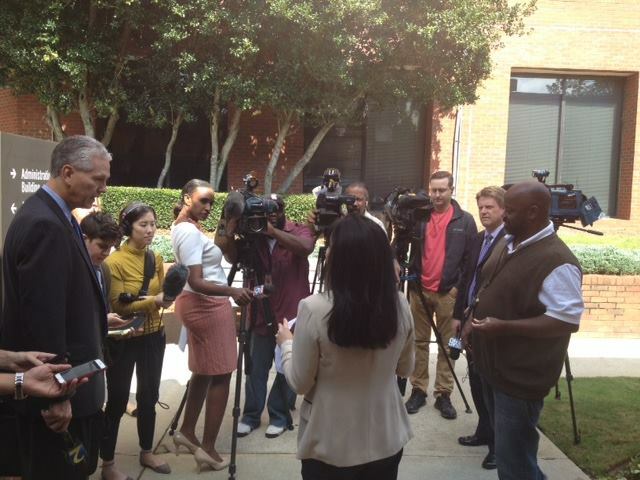 This past Tuesday Commissioner Nancy Jester called on DeKalb County iCEO Lee May to resign. Since the release of the Report of the Special Investigators on DeKalb County Corruption, I have been listening to people across DeKalb County to sort out the deeper implications of the allegations contained in the report and to determine what I myself am called upon to do. I feel compelled by a duty to DeKalb County, to my constituents, and to my beliefs to state plainly the conclusions I have reached. When CEO Burrell Ellis was removed from office, all across DeKalb County people of goodwill united together in support of Lee May and his mandate to clean up corruption, improve the operations of county government, and restore confidence and trust in DeKalb County government. Given the Report of the Special Investigators and an overwhelming number of issues confirming incompetent management from senior members of his Administration, it is my belief that iCEO Lee May no longer has the ability or moral authority to fulfill that mandate. DeKalb County is at the point where the people of DeKalb County must come to terms with the Report of the Special Prosecutors if corruption and incompetence is not to end up harming all of us and the county we love to a degree we cannot recover. Corruption and ineffective executive management in DeKalb County can no longer be thought of as merely a rare instance such as occurs from time to time in all counties across America. The reality is DeKalb County faces a crisis with the possibility of simultaneously wiping out our financial reserves and killing future jobs and economic development – for decades to come. I won’t repeat the list of all of us know much too well. 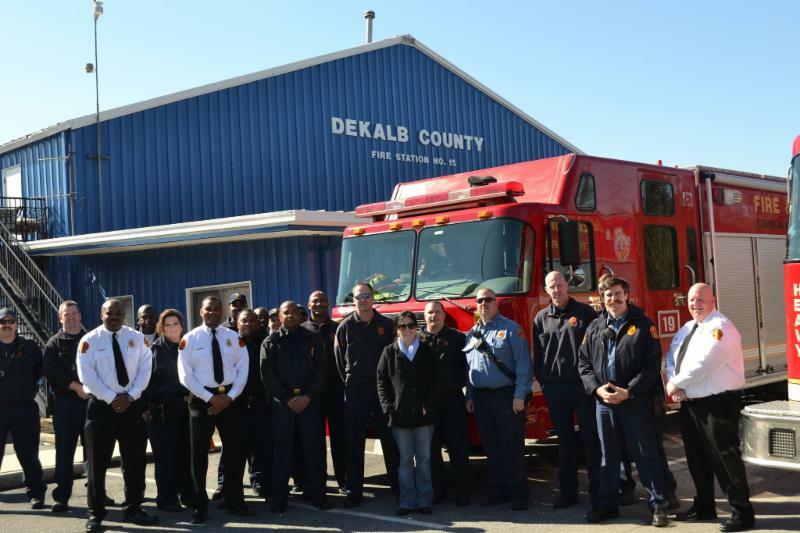 However, and most troubling, at the very heart of the crisis are things which cannot so easily be listed, for they consist of felt truths – things that degrade the reputation of DeKalb County. The spreading cynicism about those in leadership positions, both elected and appointed in DeKalb County. The pervasive and undeniable sense of frustration and anger that has become the dominant feeling of many taxpayers from across DeKalb County. A perception of corruption that has effectively destroyed the ability of iCEO Lee May to speak from a position of moral leadership. The widespread belief that the Report of the Special Prosecutors and all that it has brought in its wake has done irrevocable damage to our local system of government. There is one way by which the crisis can be resolved. That is for Lee May’s voluntary resignation as DeKalb County iCEO. Inevitably the iCEO is responsible and accountable. The character of the Administration is defined by the character of its leader. It is Lee May who appoints his executive staff. If he does not explicitly command what his aides and agents may and may not do, they will do what they sense and believe he wants them to do – or will allow them to get away with. By proposing Lee May’s resignation I do not in the least imply belief that he is legally guilty of any of the allegations brought against him. My proposal reflects no personal judgment on the matter of guilt or innocence. I hope and pray Lee May will realize that the greatest action he can now take for DeKalb County is to voluntarily put the best interest of the people ahead of his self. The people of DeKalb County will, I am confident, judge this action in terms of the courage, character, and self-sacrifice it would so dramatically display. The DeKalb County Sanitation Division announces it will no longer service third-party or customer-provided garbage or recycling containers placed at the curb for collection on residents’ designated sanitation collection day. Only county-issued garbage roll carts and recycling containers will be serviced. Residents who have not received a county-issued garbage roll cart will receive a compliance extension beyond the Oct. 19 date. Third-party or customer-provided yard trimmings containers are exempt from this procedure, which takes effect Monday, Oct. 19. The use of secure, durable plastic bags for garbage disposal is permitted with the new procedure. Oct. 19 will be issued a notice advising of the use of an unauthorized container. Customers who do not have a county-issued garbage roll cart, or would like to join the recycling program and obtain a county-issued 18-gallon recycling bin should contact the Sanitation Division’s customer service team at 404-294-2900 or sanitation@dekalbcountyga.gov. Phase II of the sanitation service change program, which will focus on recycling, is expected to begin early November. Recycling roll carts with a 65-gallon capacity will be available during Phase II for a one-time $15 fee. More information on Phase II will be provided in the coming weeks. For program updates or more details about the sanitation service change, including a comprehensive list of frequently asked questions (FAQ), contact the Sanitation Division’s customer service team at 404-294-2900 or sanitation@dekalbcountyga.gov, or visit the “Rolling Forward to One” program website at www.rollingforwardtoone.com. The DeKalb County Sanitation Division announces the continuation of garbage roll cart delivery to townhome and condominium residents in all areas of DeKalb County. Residents, association presidents, and leaders in townhome and condominium communities where roll carts have not been delivered, or a roll cart declaration form indicating residents’ roll cart preference has not been completed should contact Adrian Sloan at 404-294-2310 or adsloan@dekalbcountyga.gov. The roll cart declaration form is also available at http://www.rollingforwardtoone.com. Condominium and townhome communities that have not contacted the Sanitation Division by Oct. 30 regarding roll cart preferences will receive the County’s standard-size 65-gallon garbage roll cart. Residents in single-family detached homes who have not received a garbage roll cart should contact the Sanitation Division’s customer service team at 404-294-2900. Roll cart delivery to townhomes and condominiums marks the end of Phase I of the “Rolling Forward to One” program, with Phase II expected to begin early November. More information on Phase II, with a focus on recycling, will be provided in the coming weeks. For program updates, inquiries from customers who have not received a roll cart, or more details about the sanitation service change, including a comprehensive list of frequently asked questions (FAQ), contact the Sanitation Division’s customer service team at 404-294-2900 or sanitation@dekalbcountyga.gov, or visit the “Rolling Forward to One” program website at www.rollingforwardtoone.com. The DeKalb County Board of Registration & Elections announces that upcoming elections are to be held on November 3, 2015 to elect mayors and council members for the ten cities wholly in DeKalb County. These will also include special elections to fill two vacancies and several county referendums. There will be a countywide election to vote on the proposed changes to the County Ordinance that will revamp the Ethics Board. In addition, the vote for cityhood for both LaVista Hills and Tucker, as well as annexation of an area into the City of Clarkston, will be put before the voters in each of the affected areas. Potential voters for LaVista Hills and Tucker can visit www.dekalbvotes.com, (look under the link “Voter Information” and “Find my Representative”) to see an overlay map of the proposed municipalities. Also, special elections to fill vacancies in Senate District 43 and House District 92 will take place. There have been several precinct changes since the 2014 elections. The Board is reminding voters to check polling locations before voting on Election Day. To see if you are registered and to locate your polling place, go to the My Voter Page at http://www.mvp.sos.ga.gov/MVP/mvp.do or on your smart phone at the “GA Votes” app. The summary of polling place changes can be found under the “Current Election Information” link. Early voting for the upcoming November 3, 2015 election begins on Monday, October 12, 2015. Voting will be held at the main office at 4380 Memorial Drive, Suite 300, Decatur, Monday through Friday from 8 AM to 4:30 PM. In addition, the poll will be open on Saturday, October 24th from 9 AM to 4 PM. The last day for early voting is Friday, October 30 and there will be no voting on Saturday, October 31 or Monday, November 2. Election Day voting will take place at each voter’s assigned polling place from 7 AM to 7 PM. 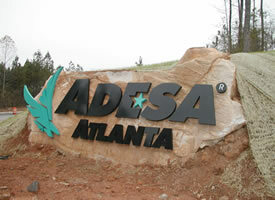 For more information, refer to the website www.dekalbvotes.com or contact at 404-293-4020. 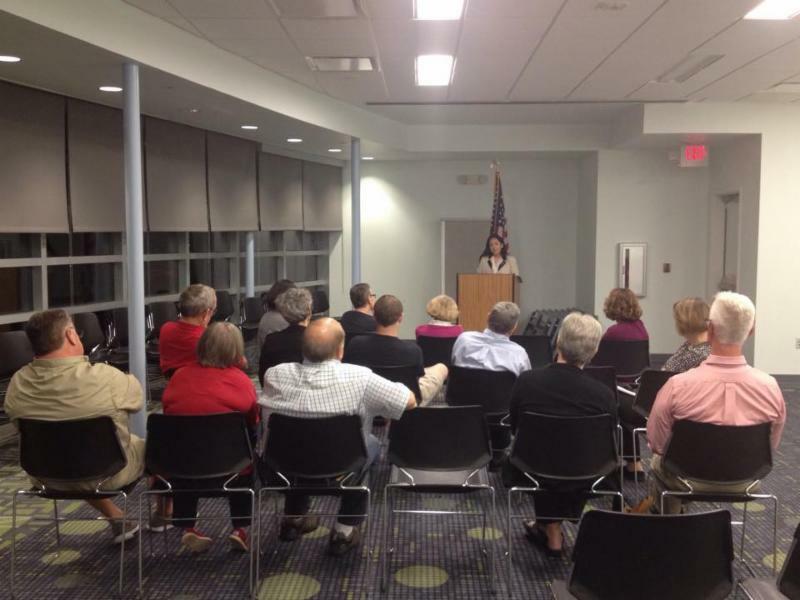 Thanks to everyone who attended the Nancy Jester Town Hall in LaVista Hills.